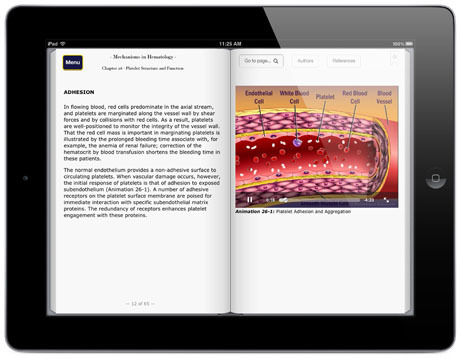 The Mechanisms in Hematology App will be of interest to hematologists, oncologists, stem cell transplant specialists, and immunologists, as well as to medical students, residents, and hematology fellows, as an educational resource. It provides essential background for understanding the molecular biology and pathophysiology of hematologic disorders. For every purchase, a donation is made to The Dr. Lyonel G. Israels Memorial Endowment. The goal has been to assemble the core knowledge required to understand twenty-seven different topics in hematology. Each chapter provides an explanation of fundamental biological concepts and links them to the relevant clinical disorders. Suggested readings accompany each chapter and are intended to entice the reader to delve further into the subject. Copyright © Mechanisms in Medicine Inc. All Rights Reserved.